Are you planning on attending college or career school? Everyone who wishes to receive financial aid for higher education should apply for Free Application for Federal Student Aid (FAFSA). FAFSA is the largest source of financial aid and applying is free, quick and simple. Along with determining your eligibility for federal aid, many states and colleges and some private financial aid providers use FAFSA to see if you qualify for their aid. If you’re still wary about completing FAFSA, you may a believer of these common FAFSA myths. Read on to discover the truth about FAFSA and how you can benefit from applying. Myth #1: FAFSA is too difficult to fill out. While many forms can be tedious and time consuming to fill out, FAFSA is fast, easy and painless. The form, available at FAFSA.ed.gov, walks you through every step and only asks the questions that specifically pertain to you. If you need assistance when completing the form, you can speak with a customer service representative through a real-time, private online chat or by calling the Federal Student Aid Office toll-free at 1-800-4-Fed-Aid. You can also get help from your high school counselor or the financial aid office at the school you intend to attend. Myth #2: My grades aren’t good enough. A common belief is only students with good grades can qualify for financial aid through FAFSA. This is not true. Though a high high school grade point average can help you get into your desired school and receive an academic scholarship, it will not affect your eligibility for most federal financial aid programs. 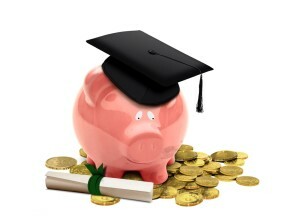 If you qualify for student aid, you will continue to receive it as long as you maintain satisfactory academic progress. Myth #3: My parents make too much money. Everyone can apply for FAFSA, regardless of income. In fact, your eligibility for federal student aid is determined using a variety of factors, not just your parent’s income. These factors include the size of your family and the age of your older parent. Myth #4: I’m too old. Your eligibility for student aid is determined by your financial need, not your age. Students of all ages can apply for FASFA, so be sure to complete and submit the form. As you can see, there is no downside to applying for FAFSA. You never know what financial assistance you can receive unless you apply! 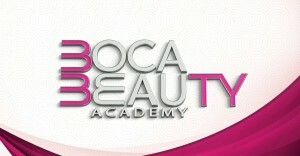 So, if you plan to attend Boca Beauty Academy, make sure you apply for FAFSA. 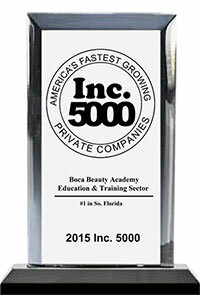 For more financial aid opportunities at Boca Beauty Academy, visit our Financial Aid Center here. If you have questions or need assistance with your application, contact our Financial Aid Office at (561) 487-1191 for our Palm Beach County campus. For our Broward County campus, please call (954) 866-1011.